We have no shame when it comes to babies and Christmas. Here is Lainey. She looks like a little elf to me. 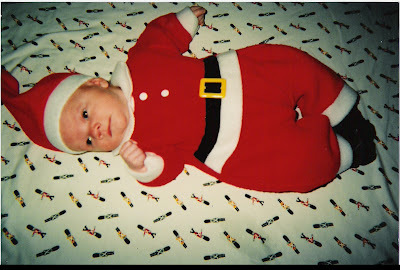 And, here is Carter as a baby. Why didn't somebody stop us?!!!!! Somehow Jack avoided this phase. Lucky kid. Are you sure that is Carter, it doesn't even look like him?